While I’m waiting for the gears to turn in Switzerland, and I’m assured that they are. I have an update related to one of the puppet people I plan to interview for the Gravity From Above. And that’s Madame Leona Beatrice Martin-Starewitch the granddaughter of Ladislas Starewitch. 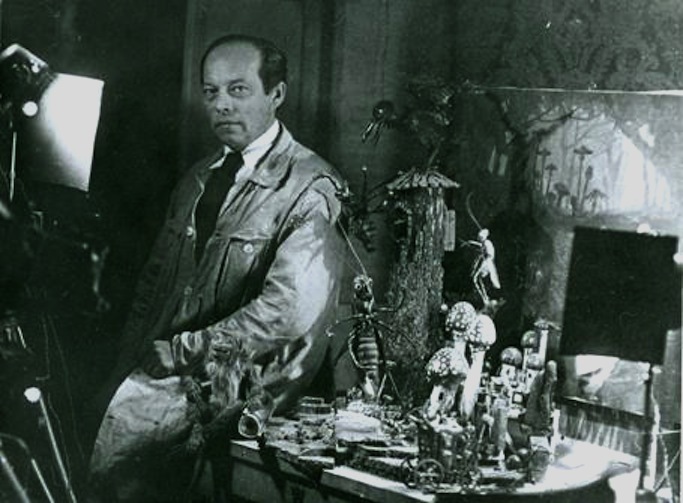 Wladyslaw Starewicz or Ladislas Starewitch as he spelled it in France created some of the earliest and most magical puppet animation films in existence back in in first half of the 20th Century in both Russia and France. For a long time it has been difficult to see Starewitch’s work. Milestone released one DVD several years back. But one look at Starewitch’s filmography has tended to leave one gasping for much more. Fortunately Madame Martin-Starewitch has been quietly working on this issue in France. At this moment there are officially five Starewicz DVDs that she has released. Including the subject of this little review, simply entitled Nina Star. This 2013 release by his granddaughter in Paris contains a few serious new revelations. 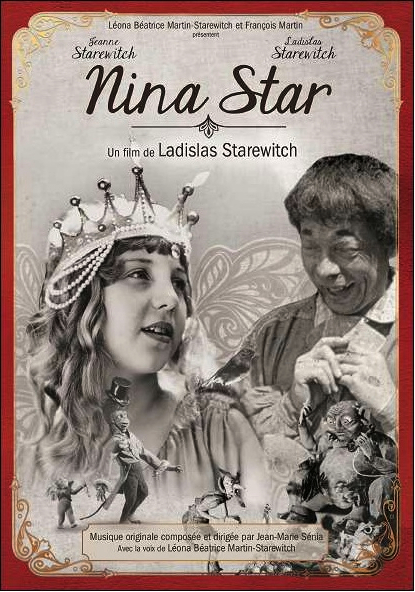 The four titles each featuring Nina Star (Jeanne Starewitch) are L’Epouventail (The Scarecrow), La Marriage de Babylas (The Midnight Wedding), Le Voix du Roissignol (The Voice of the Nightingale) and finally, la pièce de résistance, La Reine des Papillons (The Queen of the butterflies). 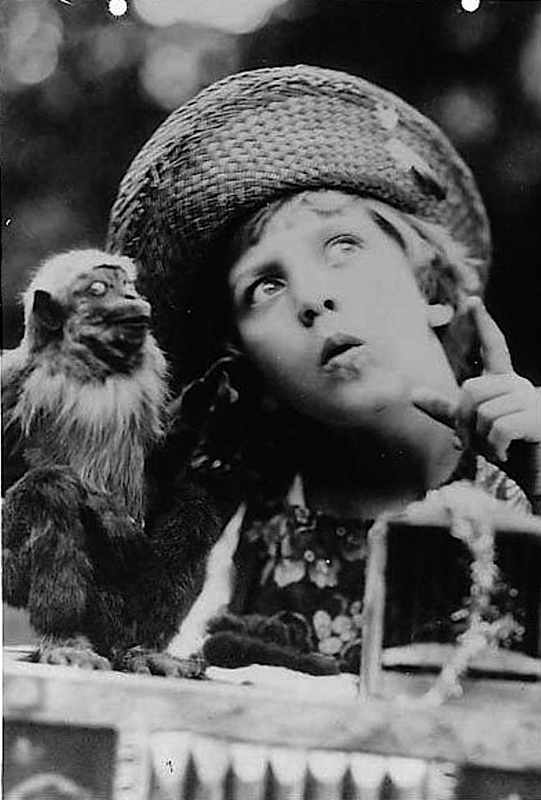 These films were all made silent in the 20s and have a new score and a voice narrating the intertitles, which will help French kids and others rediscover them. And they are all obviously made for children. But they certainly go far beyond any contemporary family films in their artistry. The Scarecrow is a curious little tale, marvelously politically incorrect (I won’t give away how) and features Starewitch himself as a comic actor. 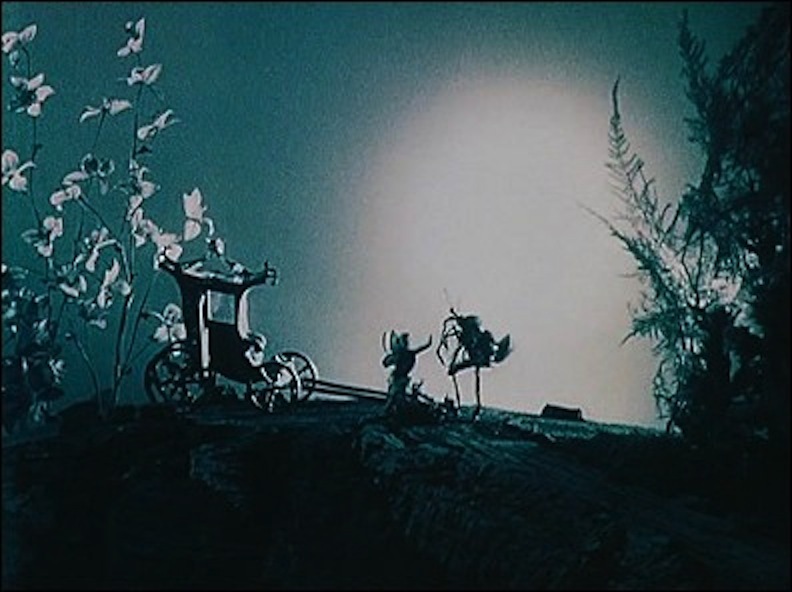 But the best part for stop-motion fans are the animated devils and the scarecrow. The Marriage of Babylas is wonderfully weird in the best sense filled with plenty of strange animated puppets. The Voice of the Nightingale has been available recently on the somewhat bootleg edition done by Milestone (they never paid for the rights), but this one is better and I noticed a little bit of extra material. And besides all of this you get Nina Star, Starewicz’s daughter, growing up from film to film and she is a sassy, jaunty, precious treasure. And there is also a three minute 30s era documentary on how Starewitch made and animated his puppets. `Thus it is officially the only footage of Starewitch at work. So essentially this is the goods. And the good news: It is subtitled in English too. And it is region free thus you can play it in North America. (But really getting an all zone player is a necessity isn’t it?) If you are interested in either puppetry or stop-motion animation this is a serious discovery. It can be found easily enough by looking in the usual sources. For more information on Ladislas Starewitch please look at this website, which is the official one run by Martin-Starewitch.